Yes this review is an incredibly late review, but it was something I just had to get out there no matter the time. Disney proves once again why they’ve been doing this animation thing at such a high level for such a long time. Sure there was a bad period in early part of the century, but otherwise Disney has produced hit after hit and the 55th release from the storied studio is no different. The city of Zootopia is a mammal metropolis where animals big and small live and thrive together. When Judy Hopps (Ginnifer Goodwin) becomes the first bunny to join the police force, she learns very quickly how tough it is to enforce the law. With a strong desire to prove herself, Judy jumps (HA) at the opportunity to solve a mysterious case. Her case leads her to begrudgingly work with a sly fox named Nick Wilde (Jason Bateman), who makes her job just that much harder. The voice work and characters are pretty fantastic all around. Idris Elba is perfect as the tough police captain with a no nonsense attitude and J.K. Simmons is just as great as mayor of Zootopia. But the best part of the cast is the chemistry between the two lead characters, Nick and Judy. The actors behind the two interesting characters are perfectly cast but the greatness of it all boils down to how well that characters work together. Their relationship is so much fun and so heartfelt that you can’t help but want more of it. 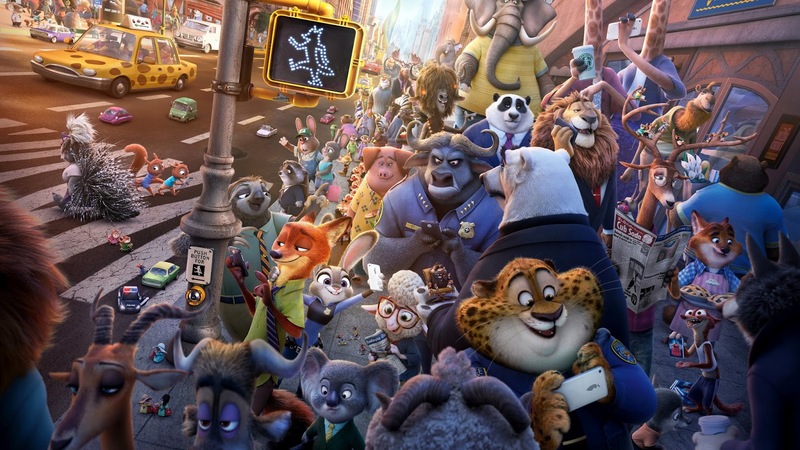 Zootopia is wonderfully animated and the designs are top notch from the city itself to each individual animal. The small details and movements of every animal are incredible, like the twitch of an ear at a sound or the thumping of a foot in frustration, and show the amount of work and care put into the movie. The city itself is designed beautifully and really is a wonder to behold. As animated films are often for kids, it’s rare that a release has so much for adults. Pixar has gotten really good at it over the years, but Disney is getting in the game with Zootopia. There are so many jokes or references, like a scene with Breaking Bad references, that are completely adult oriented but not so much that it affects the enjoyment for kids. But it isn’t all jokes and fun, Zootopia ends up being extremely socially relevant. Dealing with stereotyping, overreactions, racial tensions, and even drugs, Zootopia is completely emotional and dramatic when it needs to be without being too preachy about the whole thing. 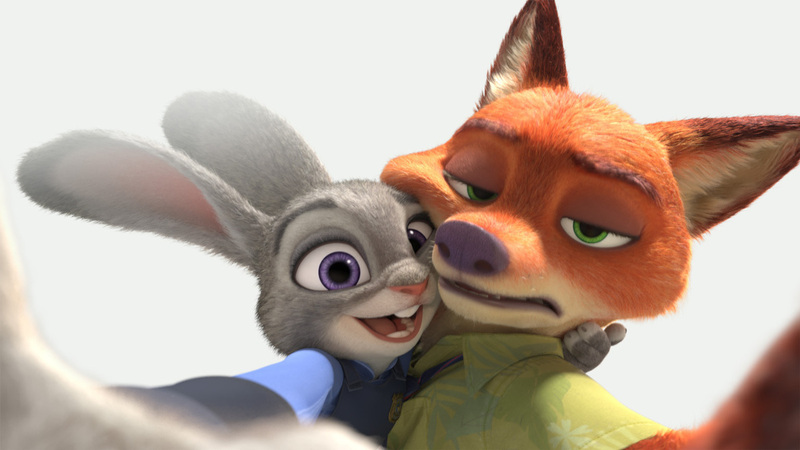 So what did you think of Zootopia? Have you seen it and how does it rank among Disney's past releases? Share, comment below, look for my The Brothers Grimsby review in the coming days, and as always return to I Am Sam for weekly reviews and insight.